"Despite our penchant for traditional English style, we’ve been borrowing tips from other well turned-out nations. We headed to Reda - a 19th century Italian mill known for producing some of the world’s finest fabrics – and brought back the pure, textured wool of this blazer, which we’ve tailored to a soft structure for lightness and a modern fit." "Modern blazer made from 100% wool from Reda, in Italy, tailored to an unstructured unlined construction for a contemporary look." Response from Charles Tyrwhitt: I'm ever so sorry to learn this beautiful blazer arrived in anything less than perfect condition. It's truly a stunning piece of kit, so it's ever such a shame you weren't able to enjoy wearing it. Rest assured, this will be fed back accordingly and I know our Warehouse Team will work doubly hard to have your next order despatched in tip-top condition. In the meantime, I have ensured a refund on your return costs as a gesture of goodwill. Response from customer: Further to your reply I would suggest that someone look at the specific jacket returned. It is impossible to wear or button in its current state. Not sure if this is a problem to this specific item or the range but suggest you check. The second jacket which I retained is a perfect example of a well cut and formed jacket. Response from Charles Tyrwhitt: Many thanks for your concern here and rest assured, our Quality Control Team will be hard at work discovering both the reason for this and how to prevent any repeat. I'm thrilled that the second jacket was perfect and I'm confident all future purchase will be too. 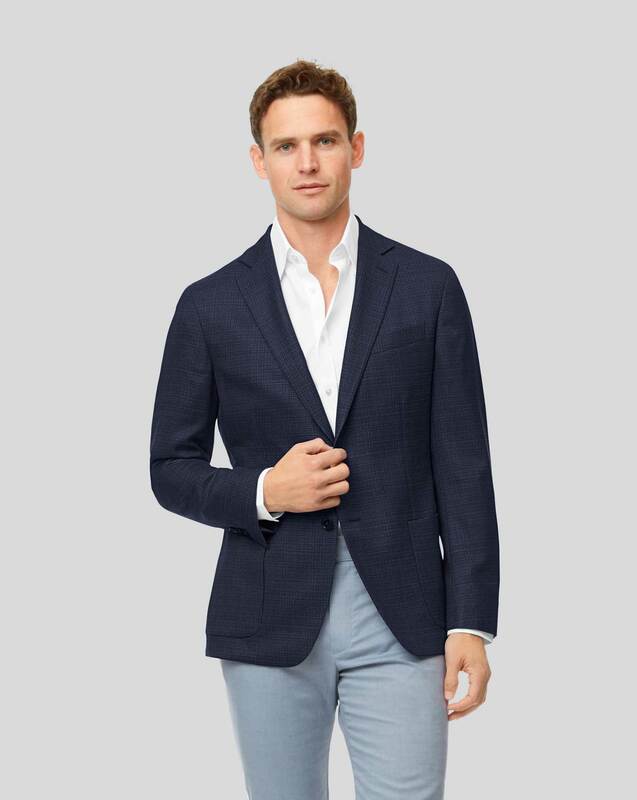 Response from Charles Tyrwhitt: We do appreciate your critique of this beautiful wool blazer and it's a real shame it wasn't quite perfect for you. Our Products Team are always keen to refine our products and make them the very best they can be, so rest assured your comments will be put to good use. Lovely lightweight fabric, and nice colour and an excellent fit. Response from Charles Tyrwhitt: At Charles Tyrwhitt we want every customer to be delighted with the products they purchase. It would be amazing if you could provide some extra feedback about this product to help us improve. Please also remember we do offer a 6 month returns policy so you can return this for a refund or exchange.